The last 12 months have been very busy for Sugar Shack Records with releases from Talisman, Royal Sounds, Laid Blak, Gary Clail and now the return of Wolverhampton's finest, Capital Letters. The new album "Judgement Day" sees the band billed as featuring original founding member JB whose face also graces the album cover. 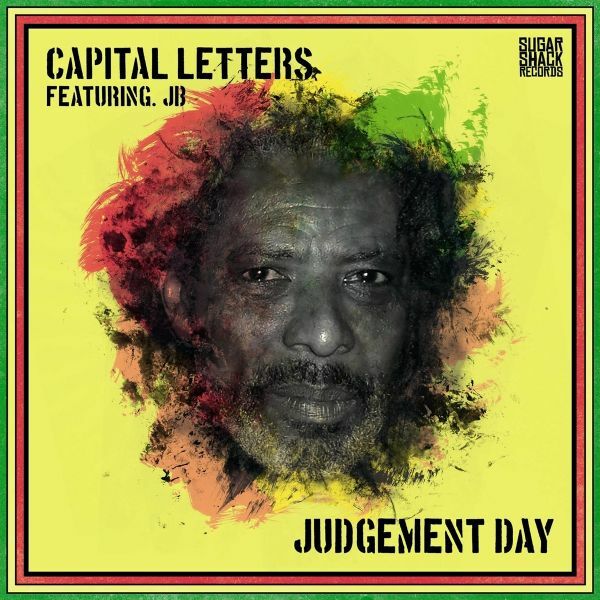 "Judgement Day" is the follow up to "Wolverhampton" and "Wolverhampton in Dub" and a continuation of Capital Letter's long history of recording and performing as one of the most popular British reggae bands; the name has been tweaked, but the music and vibes remain unchanged. We have here vintage Capital Letters but featuring Harrington Bembridge (the original Selecter drummer and later of fellow UK ska stalwarts The Specials) and new bass player and Birmingham legend Myki Tuff. "Judgement Day" features 13 tracks with the usual mix of strong roots including "Follow Rastafari", "Talking", "The Roots" and "Judgement Day" which is an entirely different mix to the previously released 12". The album has social commentary with "House Breaker" and "Parents" and even touches on more romantic themes with "Your Heart and Mind" and "Cinderella". The tracks have been recorded in Birmingham, UK and mixed by labelmate Compendulum. As well as the 13 track CD and digital versions of the album there is also an 8-track limited edition vinyl.